This morning, I walked out of the townhouse I moved into two days ago and walked one block to the SRF Meditation Gardens. There, seated on a stone bench in front of the ocean on a beautiful sunny day, I did my morning meditation. Yesterday, for the first time in over three months, I was once again able to tour Paramahansa Yogananda‘s Hermitage on the Self-Realization Fellowship ashram grounds in Encinitas. 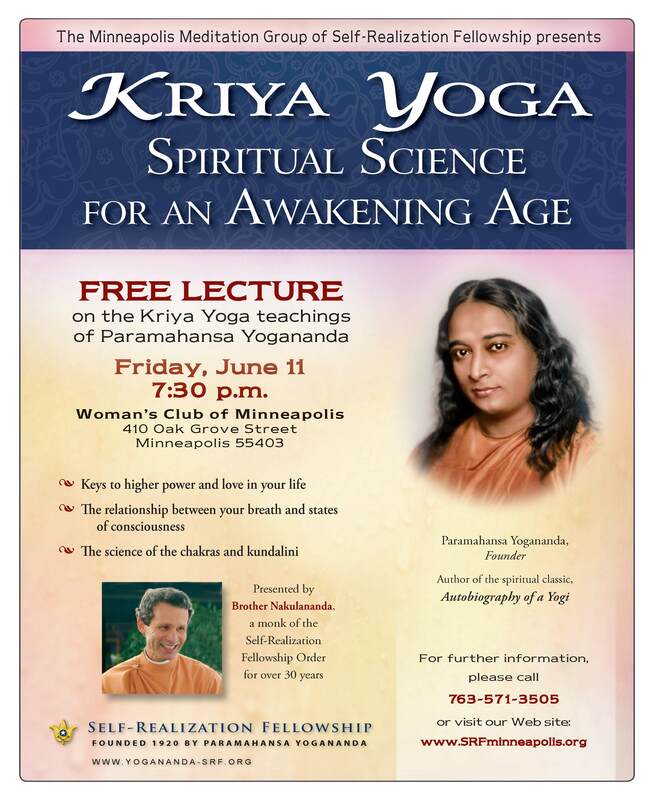 The Minneapolis Meditation Group of Self-Realization Fellowship (SRF) hosted a special Open House on June 11, 2010 featuring a talk entitled Kriya Yoga: Spiritual Science for an Awakening Age. The talk was presented by Brother Nakulananda, a longtime monk of SRF, which was founded in 1920 by Paramahansa Yogananda, author of the spiritual classic , Autobiography of a Yogi. Click here to visit the website of the Minneapolis Meditation Group. For more information about SRF or the teachings of Paramahansa Yogananda, click here to visit the official website of Self-Realization Fellowship. Here is the flyer for Brother Nakulananda’s talk. Click on the flyer to enlarge it. In an earlier post, I wrote about how reading Autobiography of a Yogi changed my life. I also shared my profoundly memorable experiences while visiting Self-Realization Fellowship’s hermitage and temple in Encinitas, California. 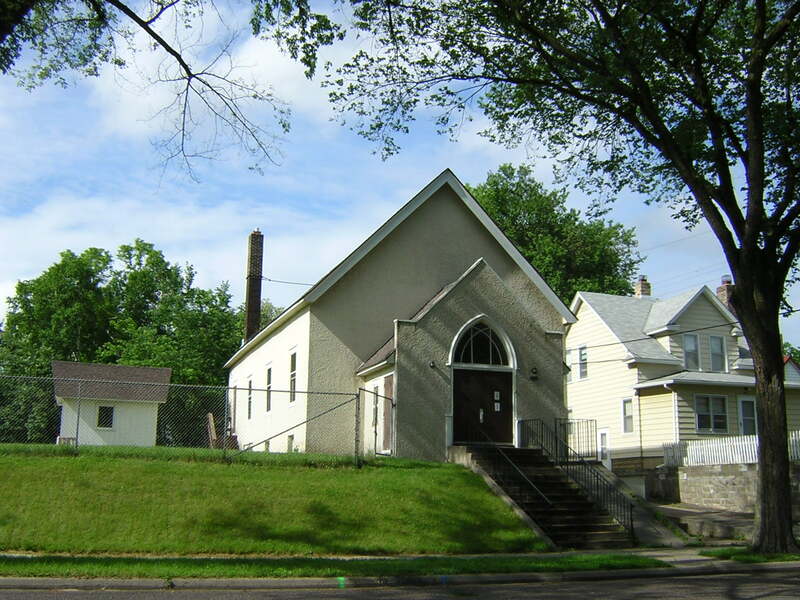 Here is an insightful article about the history of the Minneapolis Meditation Group from attorney Jerry Blackwell, a longtime member. 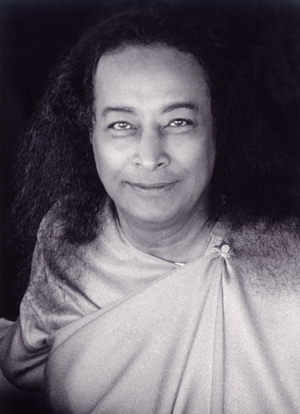 It was September 1927, and Paramahansa Yogananda was electrifying Twin Cities audiences with a novel but soul-rousing message. With long hair and golden brown skin, and always clad in an orange robe, he lectured nightly to sold out auditoriums of thousands on the body and soul benefits of meditation and inner communion, almost a century before modern medicine and pop culture would make these practices synonymous with enlightened wellness. 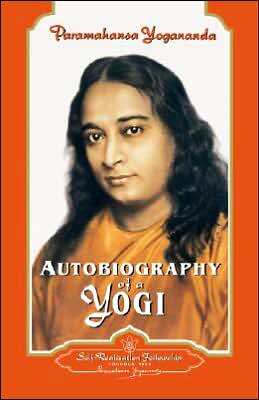 Reading Autobiography of a Yogi by Paramahansa Yogananda at the age of forty-two was one of the most exhilarating experiences of my life. From the beginning chapter, I felt like I had finally come home. This was the life I had always wished was possible but never dreamed it could be! 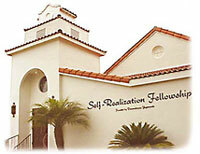 After finishing it, I sent away to Self-Realization Fellowship, the organization Yogananda founded in 1920, for the three-and-a-half years’ worth of bimonthly lessons on “right living” and follow Yogananda’s teachings today as part of my daily spiritual discipline. I just now finished listening to Chapter 23 in my car. I’ve listened to the audiobook version, read by Ben Kingsley, three times now and it never fails to thrill me. Everything in this book resonates in harmony with who I am and who I wish to become. I was already teaching spiritual classes by the time I encountered this book and was amazed at how much deeper it took me in my knowledge and practice.